Hi There.... I'm new around here and amlooking fora very entry level gun. I like to fish and love to dive so I figured the next best thiong should be spearfishing. Anyhow, I am looking to get started with some cheap but safe (and decent) gear. Can anyone tell me about the Beuchat Rascasse? Also I think I found a good sale on them, I would guess $40 is a good price. my 2cents worth - I have a beuchat speargun - the Mundial comp. - my impression is that beuchat make a very good speargun. 1. I downgraded from 18mm to 16mm bands - made life sooo much easier, however, I am now feeling ready to put the 18mm bands back on as the range is just too limited. I suspect that with the 13mm bands on the Rascasse, you might as well sneeze at the fish as shoot at them. 2. The 350 that you pointed in the link is quite short, but I did see that there are more longer guns of that model at the same store. my 750 works well for my general newbie needs. I'm well pleased with my Beuchat - they make a good gun. I'll let the more experienced guys set you & me straight now. Hey... thats good stuff, especially from a newbie like me. I can relate to what you have done so far. Thanks. I'll look int the band thing as well. maybe get the smaller ones when I buy it and then change em back later on. Just so I can get used to pulling that thing under water. but trust me if you get the cheap you'lled wish you used the money to go towards something better and longer.  good luck and welcome to deeper blue. Would this make a good gun for reef hunting? that makes up a lot of what I see here in South Florida. what about a phenumatic gun??? Buy something beetwen 60 and 90cm, no matter what brand, that is a different story. Choosing the smaller one you have a good gun shoot to fish inside holes and nearby passing fish. Choosing the bigger one its easier tho shoot passing fish but more dificult to manouver and to use inside holes. As for the rubber, choose them accordingly. Usually you dont need to replace rubers when you buy a gun since those are okay to start with, when time comes to replace thme them you can choose wich ones suit you. I advise you to buy a 75cm model since these can be used almost anywear. As for brands thats more of a personal choice or local availability, personaly i prefer Marc Valentin, but also use Cressi (comanche) and Beuchat (mundial Competicion). Also Omer Picasso etc... they are all good brands. One word about the bling factor of carbon, it looks nice and although they are lighter tham aluminium in the water it dosen't makes that much diference. Also time and prolonged exposure to sun are not their best friends. Some good and useful points there catman, but just to go back to the question about the Rascasse, it has only 13mm bands which from my limited experience is not enough, and I wonder whether most budding spearos would be wanting more power than a 13mm band can give, hence the comments about 16/18mm bands. What do you think? Opps sorry about that. The 13mm bands are ok for the smaller 35cm since the shaft is only 6mm it not that heavy. As for the other ones they seem to be a bit to conservative a 16mm band would be moore apropriate. As for the bands thenselves their are hard, wich is a good thing for close range and hole fishing, but will lack some precision at the end oh the line. But remenber one thing this gun was designed for beginners or backup hence the 13mm wich are easier to load. As for the spear itself, its not stainless stell and with only 6mm diameter it's tip well reg ruined very fast if hiting rocks. Whilw speaking of this brand the akra competicion shouldn't be much more expensive tham the rascasse, and it would make a perfect first gun. stainless stell spear 16mm bands. So..... this would be a better choice for me. Yup thats right, you wont regret later. btw this is not an american but french brand..